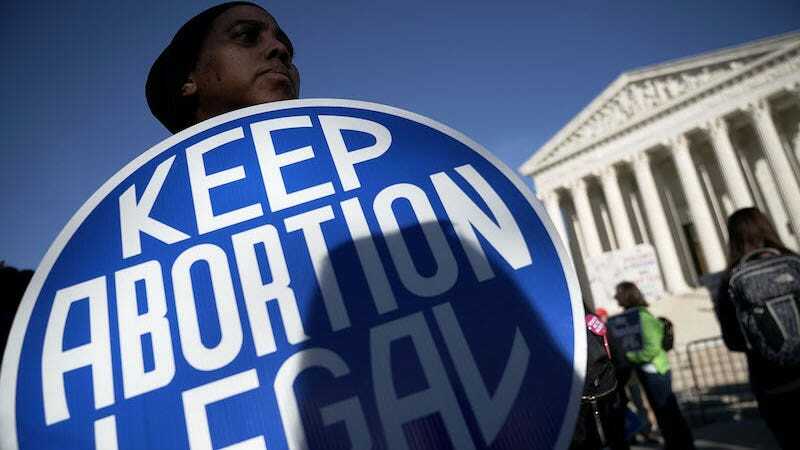 New York passed the Reproductive Health Act (RHA) in January, legislation that will safeguard reproductive health access in the event that the Supreme Court were to overturn Roe v. Wade. As a physician who provides abortions in New York state, I was thrilled to learn that access to reproductive health will be preserved for my patients and I hope that other states follow suit. Though physicians like myself and reproductive rights advocates celebrated the passage of the RHA, there has also been plenty of unnecessary outrage fueled by misrepresentation over what the bill actually does, as well as abortion later in pregnancy. What Trump said grossly mischaracterized what the RHA does. Passed on the 46th anniversary of Roe v.Wade, almost 10 years after it was first introduced, the RHA ended an almost 50-year history of the state including abortion in its criminal code, rather than treating it as a medical procedure. The vast majority of abortions occur in the first trimester, prior to 12 weeks, and about one in four American women will have an abortion in her lifetime. Most people who need an abortion are already mothers or their contraceptive method failed. A procedural abortion is a safe, quick in-office procedure with a less than one percent complication rate. A medication abortion involves a pill that ends the pregnancy followed by a few more pills that cause expulsion of the pregnancy. I see patients of different personal and religious beliefs, it’s their unique life experiences bring them to the decision to have an abortion. We should honor and respect their decision. The bill would have done a number of things to improve access to abortion care. The bill also would have eliminated ultrasound requirements and waiting periods prior to receiving an abortion. They are both manipulative and unnecessary tactics that make it harder for people to get abortion care. Being forced to get an ultrasound, view ultrasound images, or have the ultrasound described to a patient does not dissuade patients from continuing with the abortion. Instead, they risk causing more distress to the patient. A 2017 study that looked at patients in Wisconsin found that “women seeking abortions overwhelmingly go through with the abortion, even when required to view the ultrasound image before the procedure.” Similarly, mandatory waiting periods are not based on medical evidence either. They only cause delays in care and significantly burden patients. The Virginia bill also would have removed the requirement that second-trimester abortion care be provided in a hospital, a requirement that is also completely unnecessary because second-trimester abortions can be provided safely in an office setting. Virginia has long had an additional needless requirement that not one, not two, but three physicians certify when a person needs a third-trimester abortion to preserve their health or life. This bill would have changed that number to one, trusting the pregnant person and their doctor’s decision. Regardless, the Virginia bill has also been mischaracterized. In addition to guaranteeing constitutional rights of citizens, the RHA also allows licensed, advanced practice clinicians (APCs) like nurse practitioners, physicians’ assistants, and nurse-midwives to perform abortions. Contrary to some claims, this does not mean that any medical professional can provide abortion care. This means that licensed professionals who are not physicians can be trained to provide abortion care if it is within the scope of their practice. There is strong data from California showing that APCs can safely provide abortion in early pregnancy, and several states already allow APCs to provide first trimester abortions. Ensuring that APCs can provide abortion care to their patients will improve access, especially because APCs are often key providers of clinical care to underserved patients. It is my hope that other states see the importance of allowing APCs to provide abortions and pass similar legislation. And finally, something that hasn’t received as much attention as it should, is that the RHA removed New York’s antiquated law that makes it a crime to self-manage an abortion. New York was one of only seven remaining states that had such laws on the books, and in at least one of those states, a court recently found that law unconstitutional. Removing those laws in New York ensures that people who take steps to end their own pregnancies will not be isolated from any follow-up care for fear of being arrested. As a physician and an advocate for my patients, I commend New York for passing the RHA. It was long overdue and will finally expand and improve access to medically necessary care. My patients have unique lives and circumstances that bring them to the decision to have an abortion, and it is my job, as a physician, to trust them and to support them. I am grateful to visionary lawmakers like the sponsors of the RHA and to Kathy Tran for recognizing that abortion access is in danger and taking steps to protect their constituents. I urge other states to do the same.